A wildfire was sparked by a lightning spark on May 6, 2017, around 1700 hours from an unknown cause. The wildfire is located 16 miles East of Fargo, Georgia burning in the Okefenokee National Wildfire Refuge. Command is currently in Unified Command with FL IMT 1 and NIMO. There are 508 personnel assigned to this incident along with 1 crew, 51 engines, 5 helicopters. There is minimal fire behavior with creeping and smoldering. 152,515 acres of Southern Rough and timber have been burned but a 65% containment status has been achieved. Several structures are still being threatened. 4 structures have been lost. Fire Managers are not expecting containment of this fire until December 1, 2017. The cost-to-date for Fire suppression and containment has reached a total of $45.1 Million. 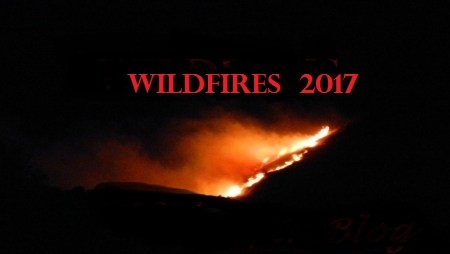 We can also be located on Twitter @nwfireblog and Facebook.